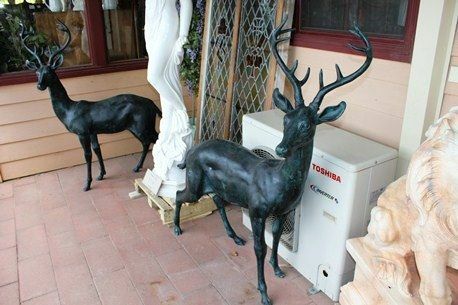 Pair of Quality Bronze Deer Garden Figures. Wonderful Pair of Bronze Deer. Garden Figures.Great Quality,135CM High. weight 150kgs. 2 PAIR IN STOCK AT THE MOMENT..